Mondays aren’t so bad, especially when they’re SEO Newsletter flavored. Did you get this month’s industry news report in your inbox today? If not, here’s what you’ll find in the pages of SEO Newsletter: The Content Edition. 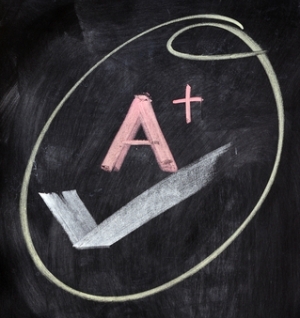 When Google Rates Your Web Content, Will You Make the Grade? The search engines are judging you. And not only that, but they’ve got spies watching you too. Okay, it’s not all that sinister, but what do you know about Google’s human quality raters? Google employs people to rate pages as a quality check for their search engine algorithm rankings. A super secret handbook outlines guidelines by which people can rate pages — that is, it was secret until it was leaked online. What we have in the handbook are the exact questions that get to the heart of how Google judges pages. This article explains how to define the purpose of your content and how to create a user experience of both text and layout of a page that delivers on that purpose. With an understanding of what Google is looking for in Web content, you can start brainstorming ideas for content that your visitors and search engines will love. Content comes in all shapes and this article helps you match your content idea with the format with the best potential for presentation. Did you get some interesting data from a recent customer survey? Create an infographic to tell a story with that data. Are you in a technical industry or does your product or service solve a relatively complicated problem? An ebook might be right for your content. Do you have cause to share regular updates with your customers? A blog is the thing. Read about content types and what business goals you can expect to achieve with each. Research your customers, research your keywords and outline a strategy; that’s the message in this nuts-and-bolts article on how to serve your customer with online content. Matching content to customer personas requires you understand each segment, their habits and preferred means of engagement online. The keyword research stage involves addressing all points in the conversion cycle, including hunting, shopping and buying. Armed with knowledge you can build a content strategy that captures traffic from each audience segment at various points along the conversion path. Also in the article are suggestions for finding competitive advantages in your marketplace and ways to promote and optimize your content once it’s published. If you like what you see, be sure to subscribe.